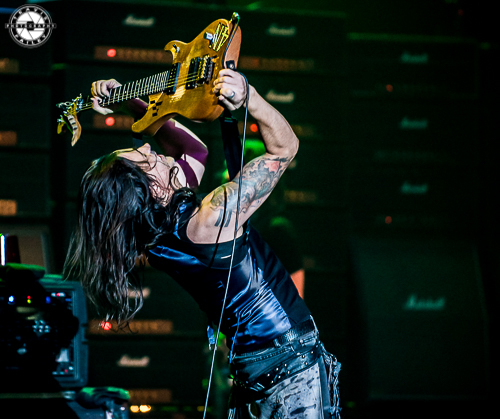 KNAC.COM - Reviews - GENERATION AXE Tour In Clearwater, FL With Photos! 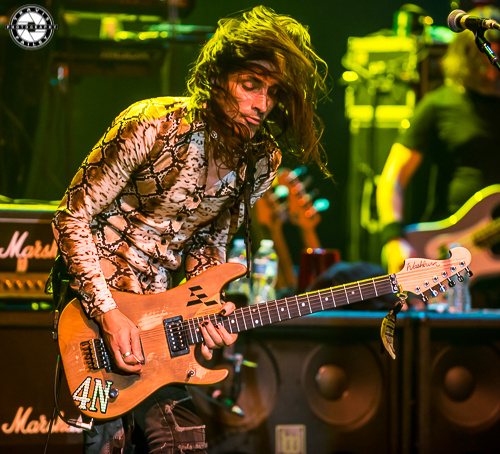 GENERATION AXE Tour In Clearwater, FL With Photos! 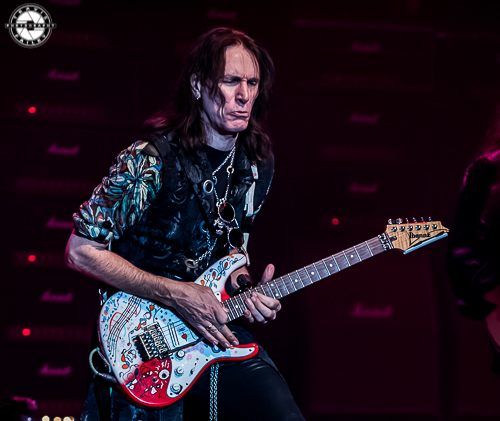 Tuesday night was a special night in Clearwater, Florida as five of the world's greatest guitar players donned the Ruth Eckerd Hall stage to a packed crowd. 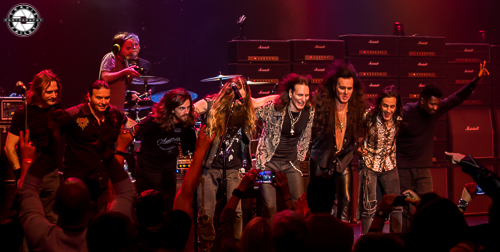 This year's Generation Axe Tour, which was put together by Steve Vai, included fellow shredders, Tosin Abasi, Nuno Bettencourt, Zakk Wylde, and Yngwie Malmsteen. Also joining the guitarists throughout the night were bassist Pete Griffin, JP Bouvet on drums and rounding out the backing band was Nick Marinovich on the keyboards. The evening's festivities commenced with all five guitarists taking the stage and performing a rousing rendition of "Hocus Pocus" by FOCUS. It was a glorious start to a night that was filled with special performances and surprises. As "Hocus Pocus" concluded, Tosin Abasi from ANIMALS AS LEADERS fame remained on stage. The least known of the five guitarists on the bill, Abasi shined through his short set that showed off his master tapping abilities on his multiple Ibanez eight string guitars. Yes, eight strings. During the finale of his set, Nuno Bettencourt from EXTREME joined Abasi on stage for "Physical Education". Bettencourt remained on stage after Abasi departed to start his solo set. 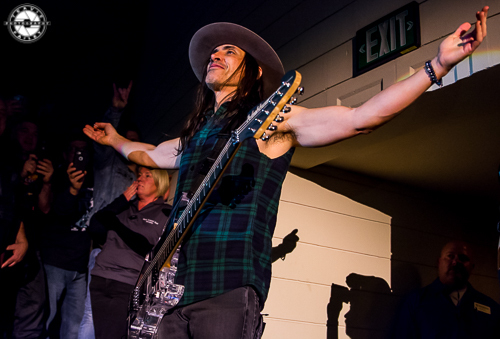 Never seeing EXTREME or Nuno before, I was really looking forward to this part of the show and Bettencourt didn't disappoint. He opened with "Get the Funk Out" by EXTREME, handling not only the guitar duties but also lead vocals. It was a fantastic performance musically and also showed the kind of showman Bettencourt is. He interacted with the crowd more than any of the other performers, particularly during his sit down acoustic performance where he played a medley of EXTREME songs including "Midnight Express". 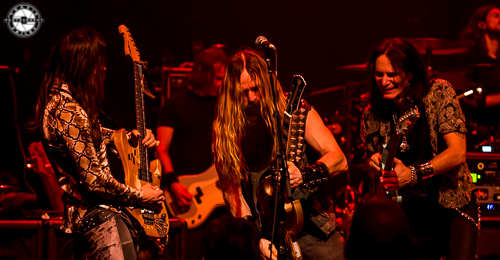 The transition from Nuno to Zakk Wylde occurred when Zakk joined Nuno on CITIZEN COPE's "Sideways". Both guitarists showed off their vocal harmony abilities and the duet was another highlight of the night. These duets occurred throughout the show and kept you wondering who or what combination would be next. As Nuno departed, The Viking took over. 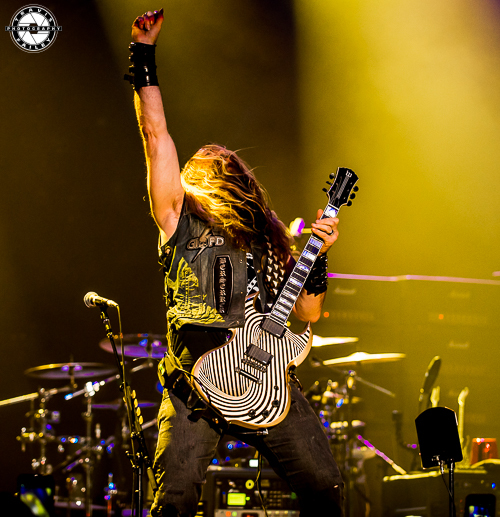 Wylde performed two classic BLACK SABBATH songs, "Into The Void" and "War Pigs" and finished with an emotional version of "Still Got The Blues" by Gary Moore. It was during the latter that once again Nuno Bettencourt joined Wyle on stage, or should I say in the crowd? 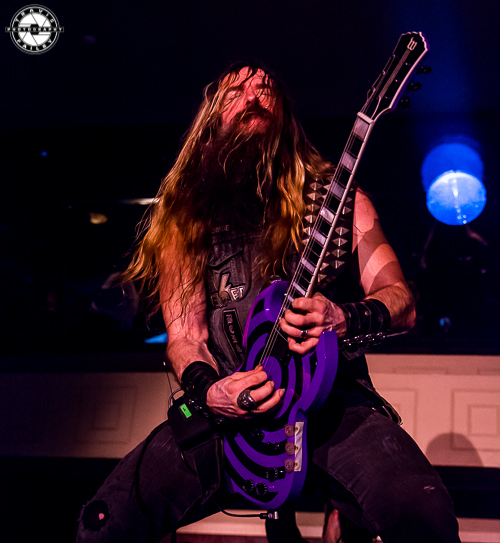 Wylde stomped throughout the theatre during his set and stopped in multiple spots to perform pieces of the songs in the seats. 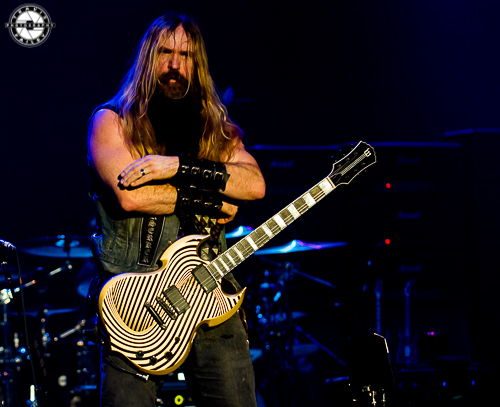 Fans were able to view and listen to Zakk like he was in their living room. 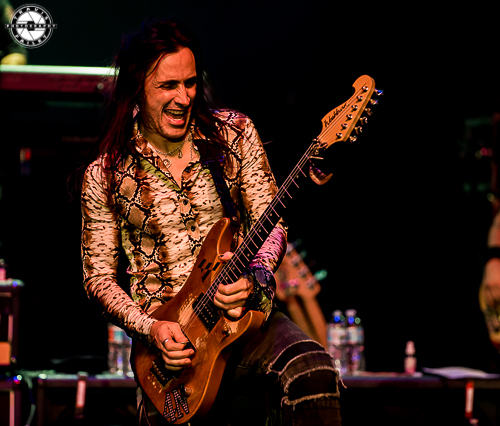 Steve Vai also joined Nuno and Zakk as all three created a triangle of guitarists in the theatre with only the backing band remaining on the main stage. This was a first for me as I have only witnessed two band members going into the crowd at the same time. 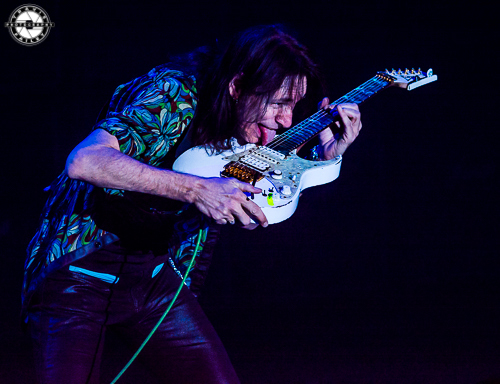 Next up was the originator of the talking guitar and the innovator of the Ibanez JEM line of guitars, Steve Vai. 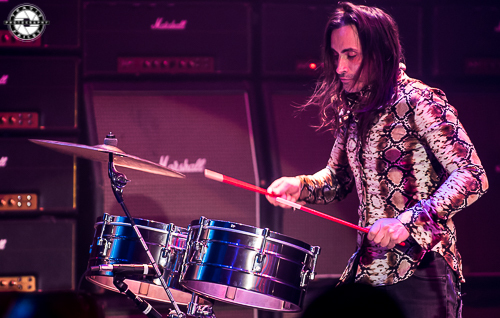 Vai burst on the scene in the 1980s as David Lee Roth's guitarist during his first two solo albums, Eat Em and Smile and Skyscraper. Vai soon departed after the Skyscraper tour and has done many solo and collaborative releases and tours. Vai has also kept busy throughout the years doing video games and film work, which included a big role in the classic Ralph Macchio movie, Crossroads. Vai opened with "There's a Fire in the House" and then proceeded to sport a purple top hat during an extremely chunky version of "The Animal". 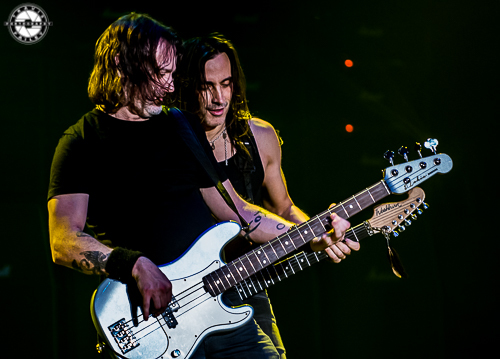 Bassist Pete Griffin and JP Bouvet provided the backbeat as Vai hypnotized the crowd. Vai finished off his set with a moving version of "For the Love of God" and finished strongly as he picked up the pace by sending string bending screams throughout Ruth Eckerd Hall. Vai also played the guitar with his tongue, which put some big smiles on the ladies in the front row. 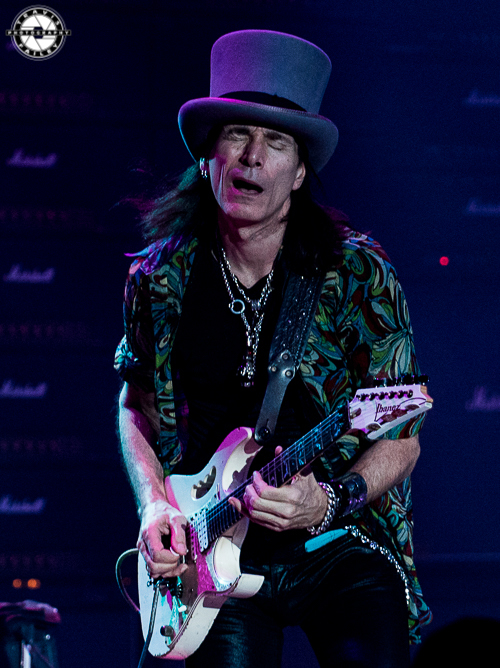 Steve Vai left the stage to a roaring crowd as Yngwie Malmsteen, dressed in his familiar all black attire, took over for an excessive forty-five minutes. His set included the songs "Far Beyond the Sun", "Arpegios From Hell" and "Trilogy". 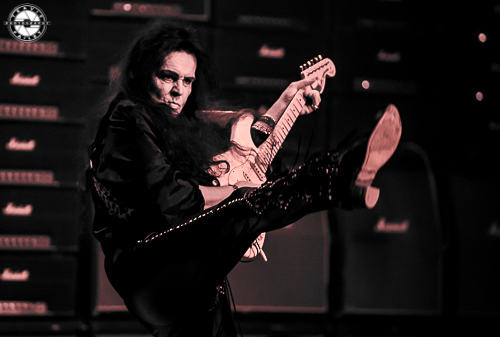 Malmsteen is a master of his craft and is very well respected for his playing and he has the ego to prove it. Constantly playing with his hair and jewelry, Malmsteen kicked picks into the crowd as the backing band was bored waiting for him to bring them back into the mix. Don't get me wrong, he was great. 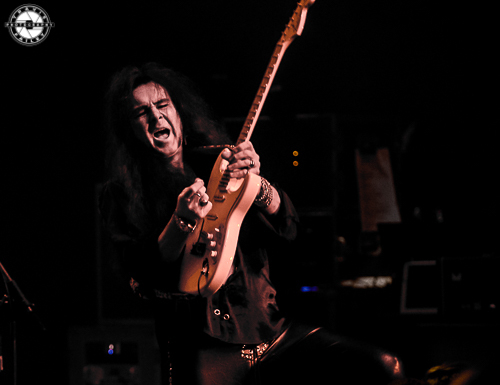 As Vai talks with his guitar, Malmsteen makes his sing, but seeing him for the first time, it was easy to see why he might have had difficulty throughout the years with his fellow band mates. 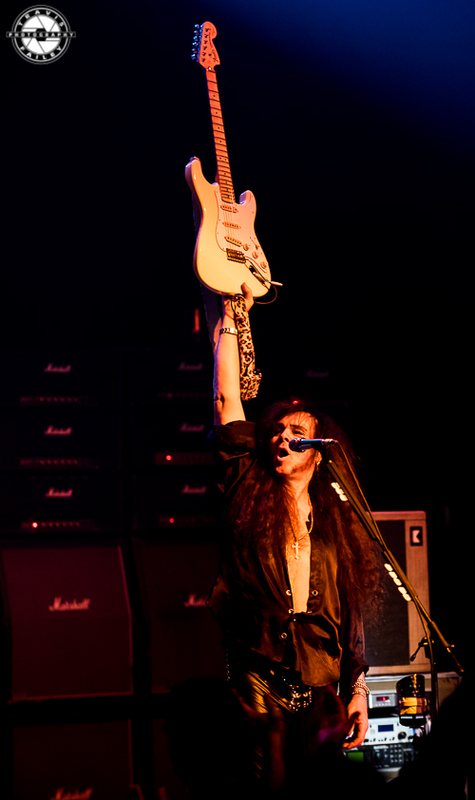 Vai came out at the end of Yngwie's set and collaborated with him on "Black Cat". 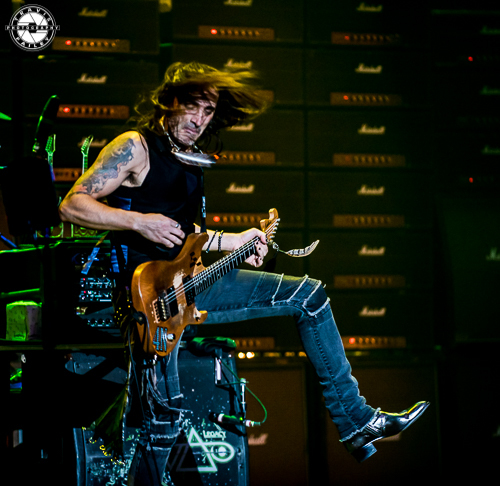 Nuno Bettencourt showed off his drumming skills on a set of dual toms as the other guitarists took turns on lead. They followed up with the QUEEN classic, "Bohemian Rhapsody" with the guitars substituting for the vocal harmonies. 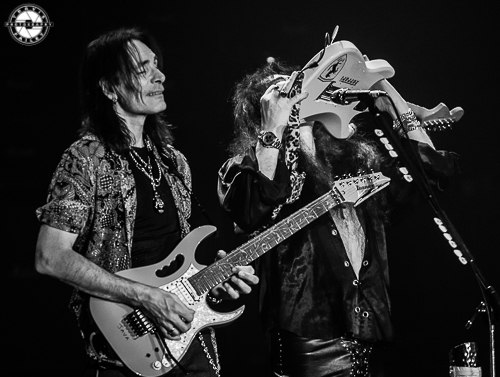 Yngwie joined the others during the song and many thought that this song was the finale for the night but Vai had another surprise up his sleeve, or under his hat. All five once again hit the stage to perform the DEEP PURPLE master track, "Burn". Yngwie handled lead vocal abilities and crushed it, but also seemed to take over the stage a bit. Vai then wrangled everyone in and they delivered a medley that included parts of Robin Trower's "Bridge of Sighs” and some Eddie Van Halen licks. It was unfortunate that some audience members left the show prior to the multiple song jam session because it was an amazing and extremely rare experience. One thing was certain though as the band took their bows, everyone on the stage had smiles on their faces and so did most in the crowd. 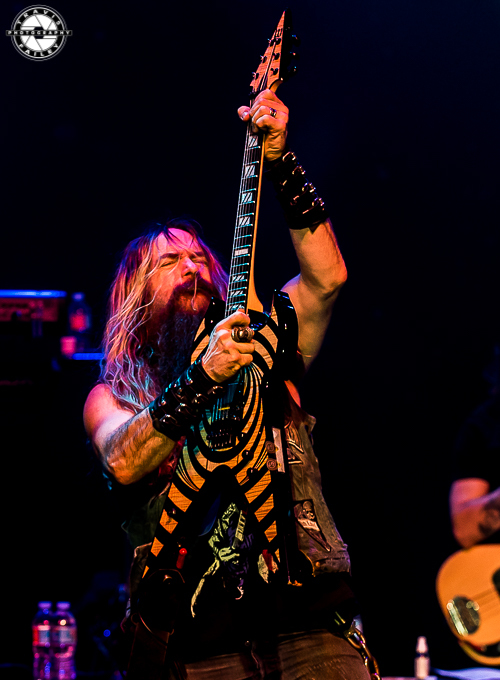 This year's Generation Axe tour provided five unique guitarists all with an individual style and sound. When all five were on the stage together, they were in complete synergy and provided unforgettable musical moments. It’s because of this that Generation Axe should be in the running for tour of the year.